Read about this week’s choice of a book share on Story Empire. You might a new favorite fantasy read! Hello to all the Story Empire readers. Sorry I’m late today, but it’s been a hectic week. It’s my turn with the Friday Book Share post so let’s jump straight into the book I’ve chosen this time around. 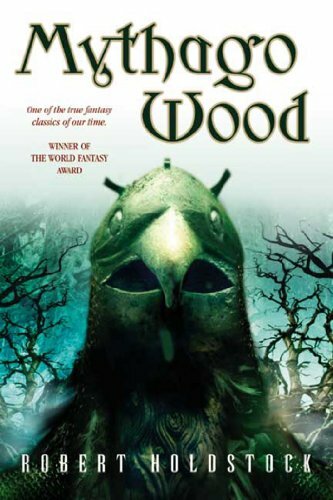 Today, I’ve chosen a fantasy that’s a bit older – Mythago Wood by Robert Holdstock – which I enjoyed back in the 90’s and several times since. The book is set around Ryhope Wood, a primeval forest in Britain. The sons of an eccentric man inherit his mysterious quest to discover the secrets of the wood and find an engrossing world of the past which intrudes into their present. Mythago Wood is highly imaginative, vivid and enthralling. I can remember reading it the first time and the tale haunted my thinking for weeks with it’s ancient themes of myths past. ← Announcing BIG Writing News & More! Thanks for sharing the link, Traci!